While mechanically polished concrete floors have been around for decades, this sustainable and durable flooring option has seen a massive influx in popularity over the past few years. This enormous growth in demand and usage is partly due to improved grinding techniques, but the unique characteristics of mechanically polished concrete floors continue to make them an increasingly attractive option for commercial, industrial and residential spaces. The durability, sustainability and general appearance of mechanically polished floors have made them a trendy and desirable flooring option suitable for all types of environments. They have received accolades throughout the flooring industry and have captured the attention of top architects and designers. The growth in popularity of mechanically polished concrete floors largely started on both of the coasts and in Texas. The abundance of industrial and commercial warehouses in these locations led to a proliferation of polished concrete floors. Once designers and business owners learned about the benefits of these floors, use spread to residential city lofts and other modern commercial spaces. As with most trends, the use of mechanically polished floors is now gaining traction in the Midwest. Mechanically polished concrete floors are not only popular due to their high-gloss finish, they are also extremely environmentally friendly. The push for “greener” spaces has led to greater general awareness of flooring options. Common floor coverings, such as carpet and vinyl laminate, release caustic chemicals. They also require cleaning chemicals and relatively frequent replacement. 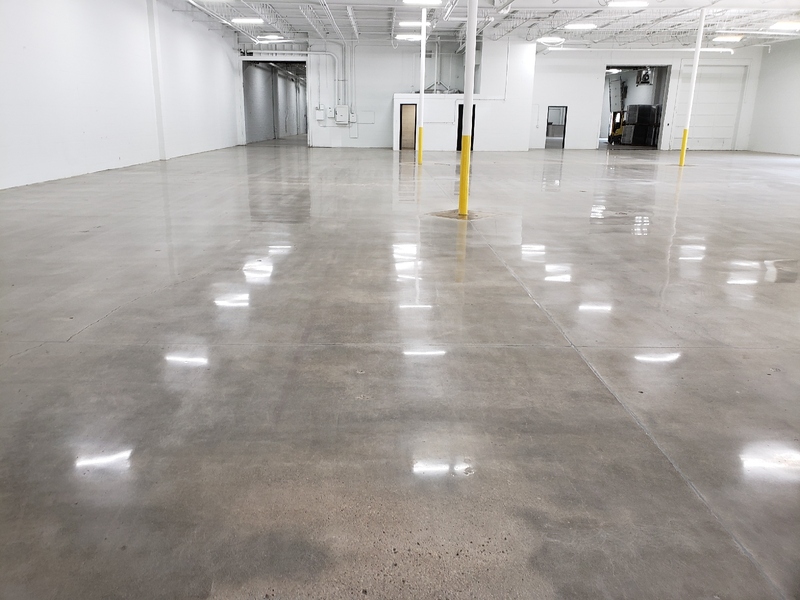 On the other hand, mechanically polished concrete floors are extremely durable and easy to clean. They do not require harsh cleaning chemicals, and they virtually last forever. Mechanically polished floors also have few emissions. This is because concrete is made from natural ingredients, and diamonds are used in the polishing process. Furthermore, mechanically polishing concrete avoids the extra carbon footprint incurred by manufacturing, transporting and installing other flooring materials. The LEED standard now even includes guidelines on how using mechanically polished concrete flooring can help qualify for LEED credits. Learn more about the low environmental impact of concrete flooring here. Contact us to learn more about using this sustainable and popular flooring option in your commercial, industrial or residential space.